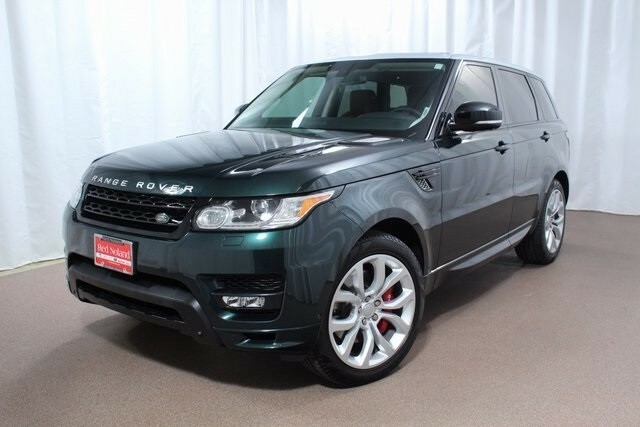 Land Rover Colorado Springs currently has this gorgeous gently used Approved Certified Preowned 2015 Range Rover Sport Autobiography for sale! This beautiful luxury SUV has just over 20,000 miles and is gently used! You get nothing but style and comfort with its Climate Control Package, Indus Silver Contrast Roof, and heated leather seating. You won’t be disappointed with the advanced technologies either! Enjoy features such as a Meridian Signature 1700-watt Surround Sound Audio system, Driver Assistance Package, InControl remote, and heated windshield. Plus, as an Approved Certified PreOwned vehicle, you can have peace of mind with a 5-yr/100,000-mile limited warranty, 165-point inspection, 24/7 roadside assistance, Land Rover Concierge, and a vehicle history report. Visit Land Rover Colorado Springs just off I-25 to see this beautiful Range Rover Autobiography. We would like to show you the many amazing features and innovative technologies that will be yours when you drive this performance SUV home!